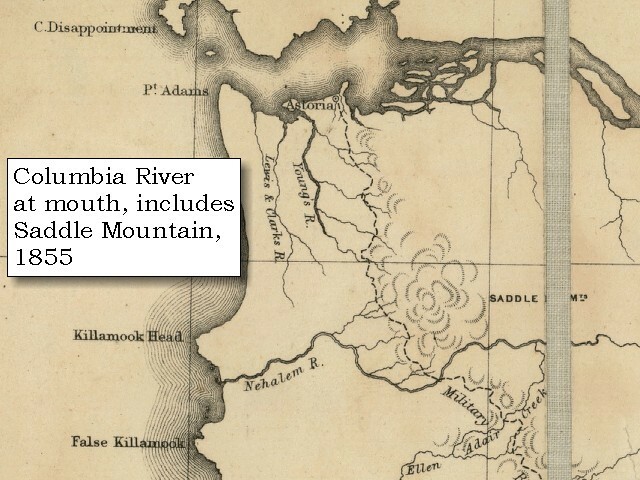 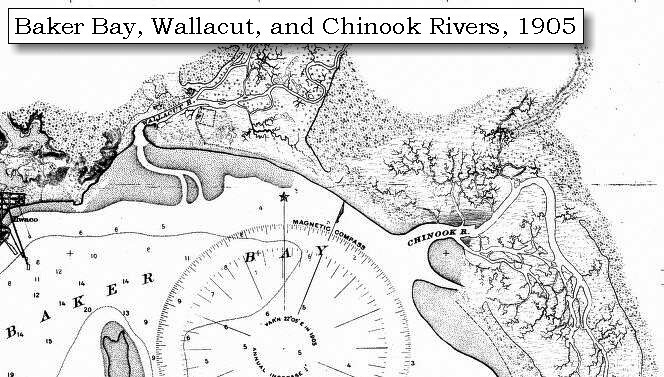 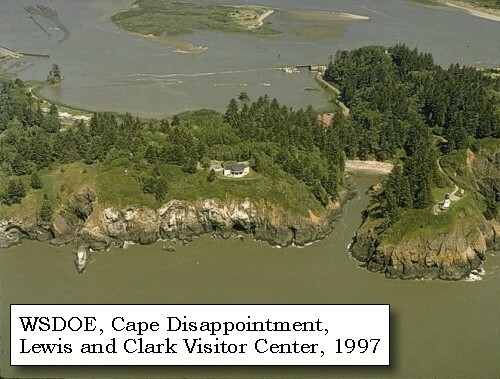 On November 18, 1805, Captain Clark and 11 men began exploring the Cape Disappointment/Long Beach Peninsula area. 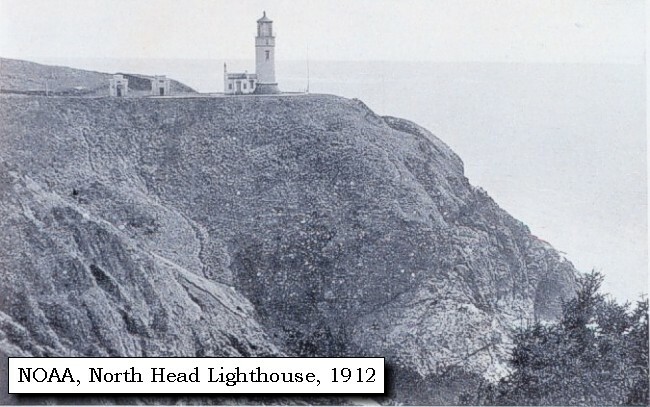 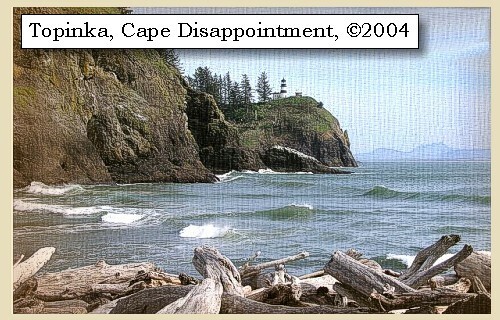 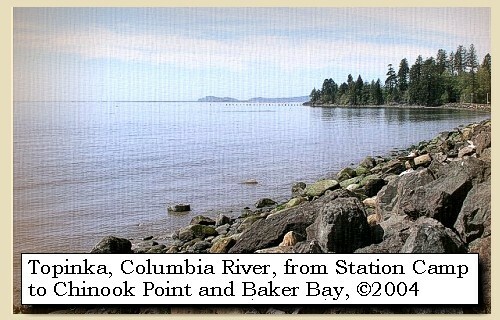 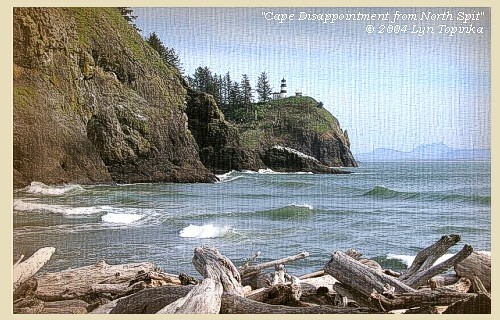 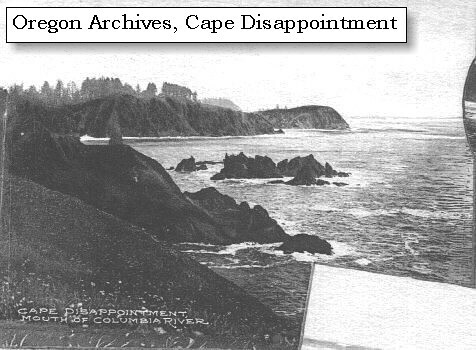 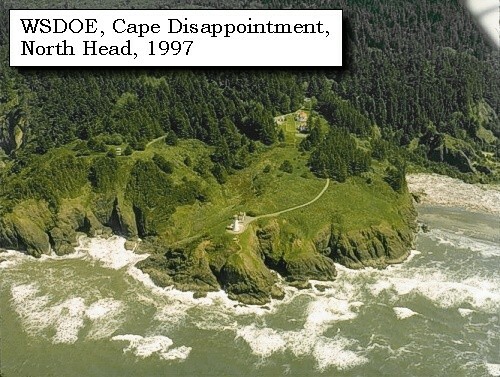 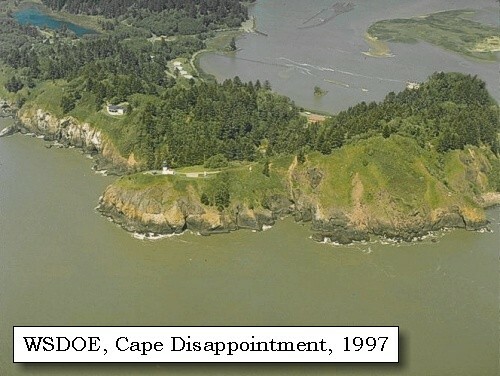 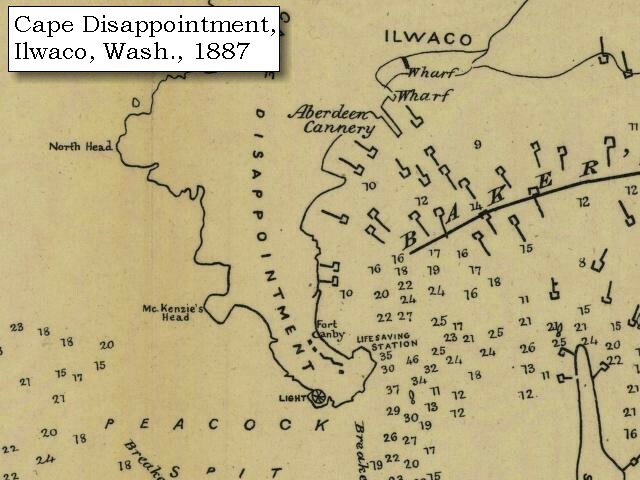 They spent the night of November 18, 1805, camped on Cape Disappointment at the base of McKenzie Head. 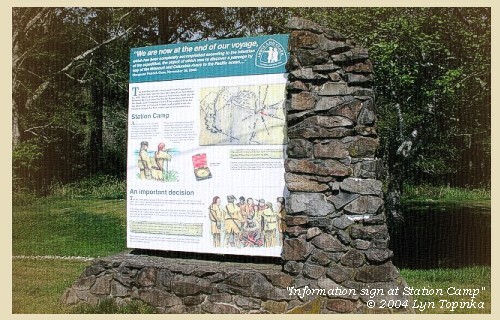 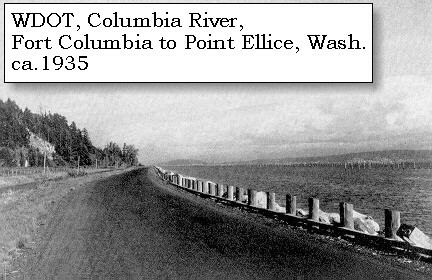 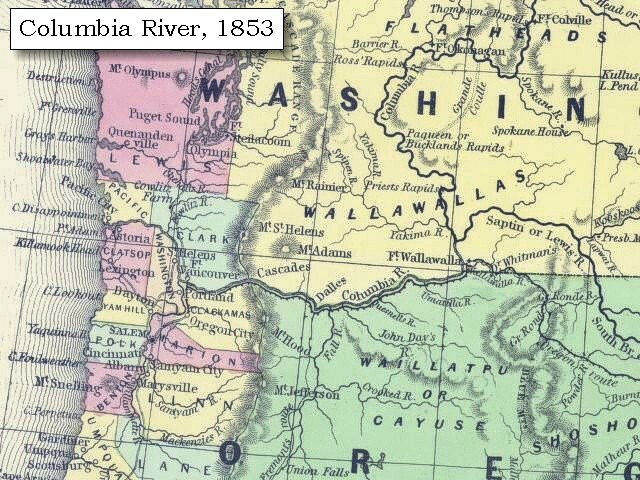 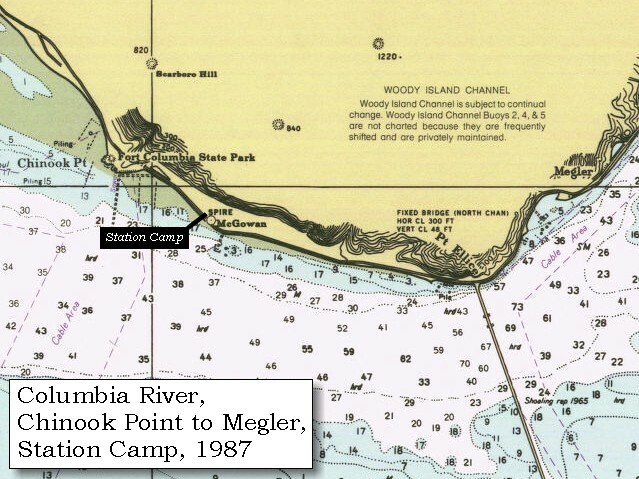 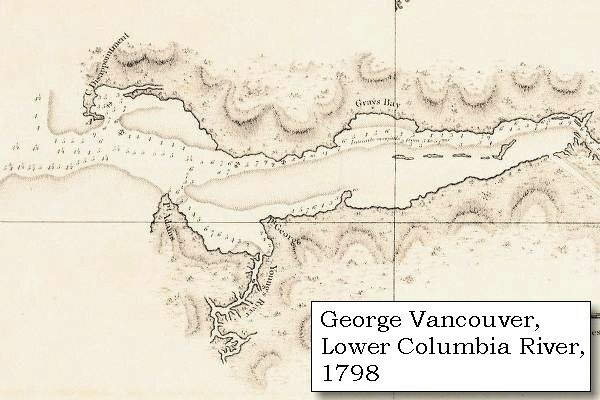 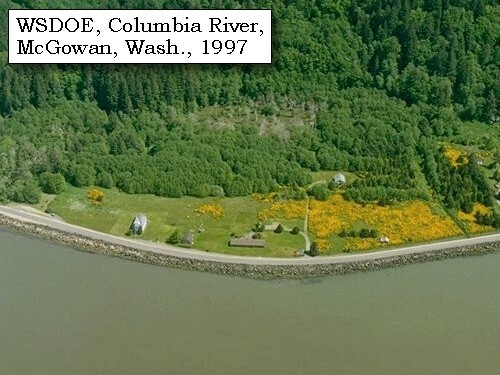 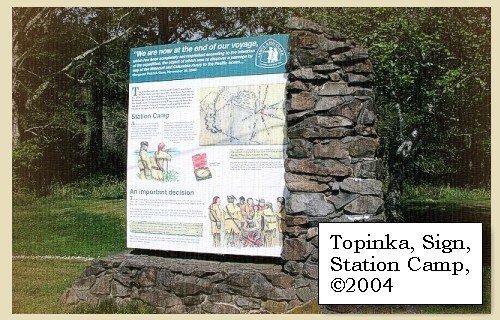 The main camp between November 15 through November 24, 1805, was "Station Camp", located near today's McGowan, Washington, today the site of Lewis & Clark Campsite State Park. 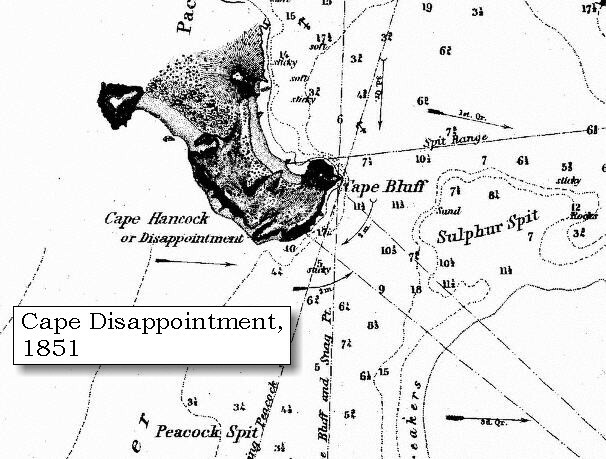 We then continued over rugged hills and steep hollows, near the sea, on a course about north 20? 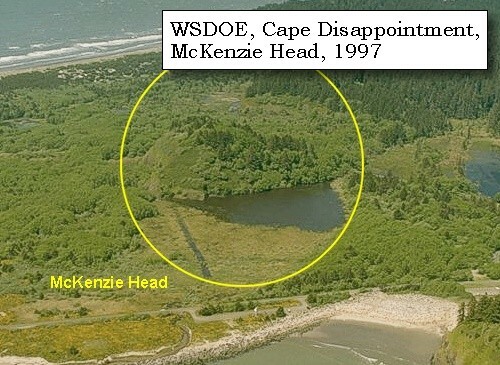 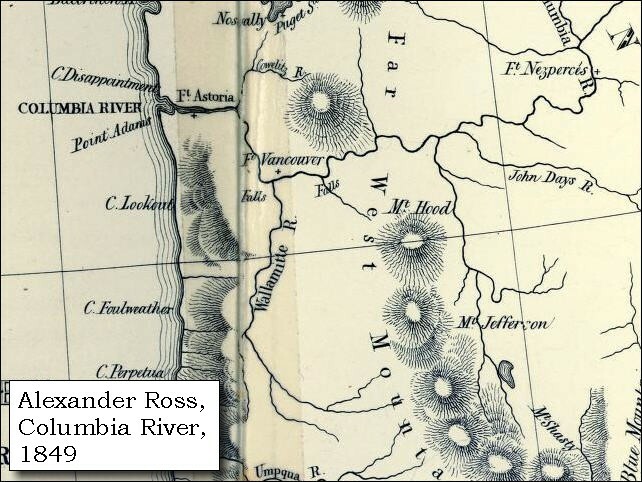 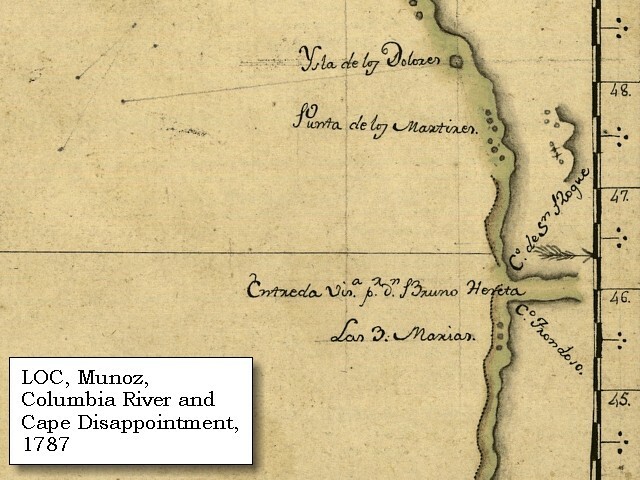 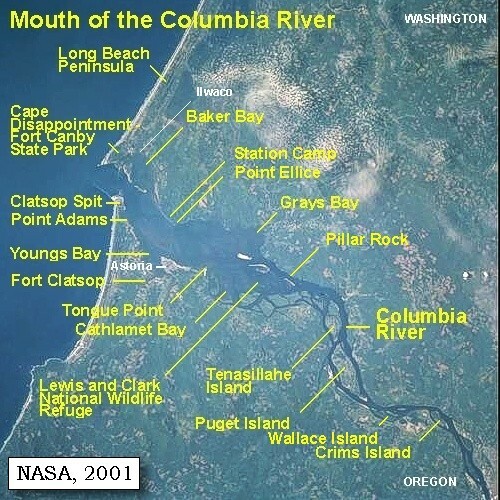 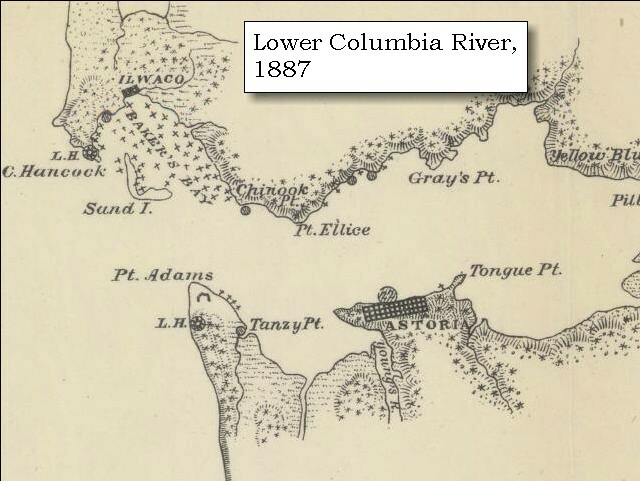 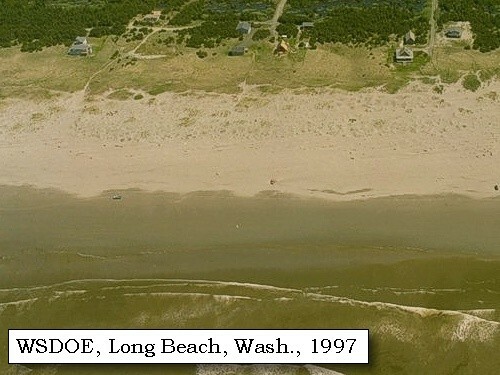 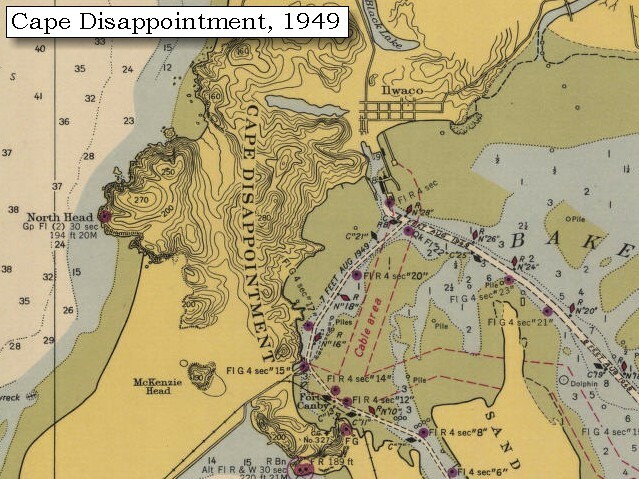 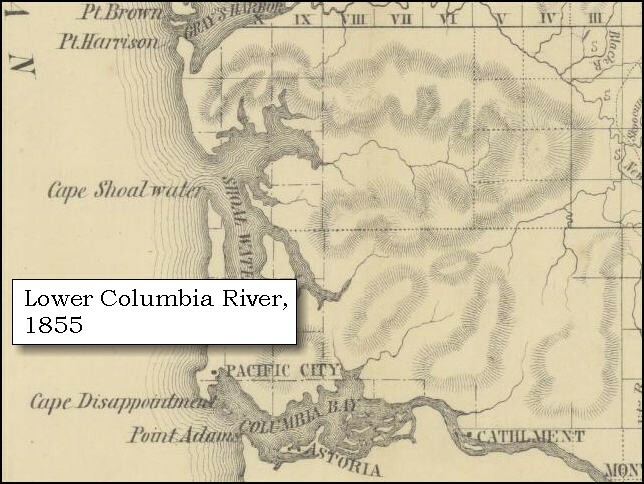 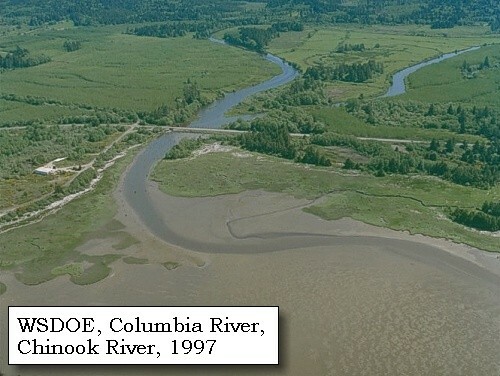 west, in a direct line from the cape [Cape Disappointment], till at the distance of five miles, we reached a point of high land, below which a sandy beach extends, in a direction north 10? 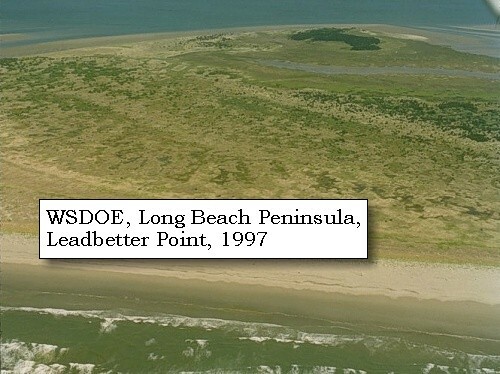 west, [Long Beach Peninsula] to another high point about twenty miles distant. 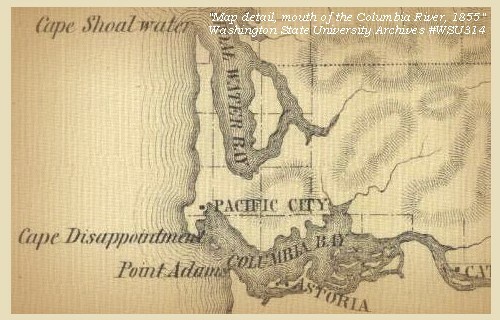 This eminence we distinguished by the name of point Lewis [Leadbetter Point]. 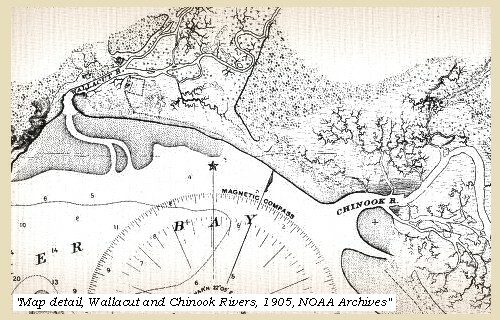 crossed Chinnook river [Wallacut River], and encamped on its upper side, in a sandy bottom. 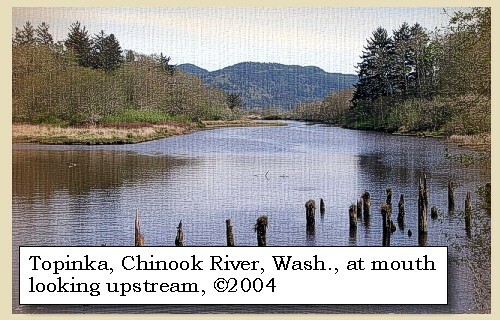 Upstream of the Wallacut River. 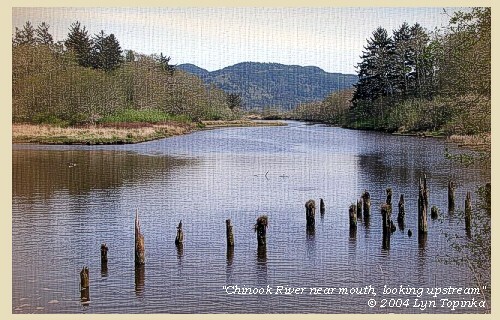 It rained in the course of the night. 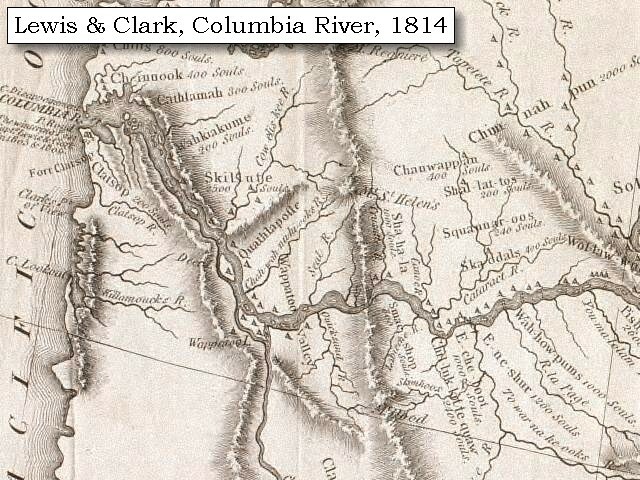 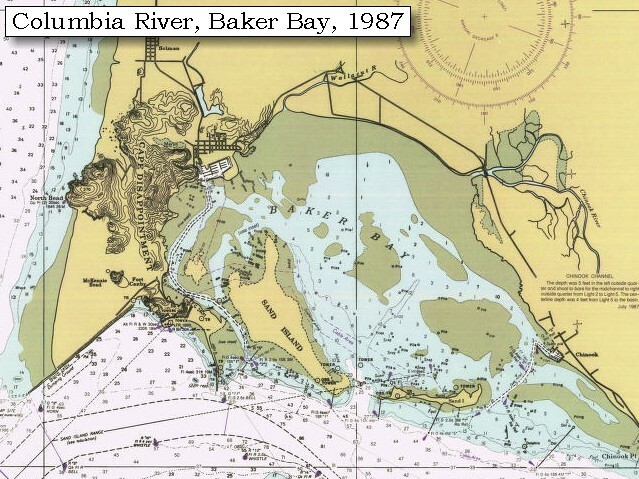 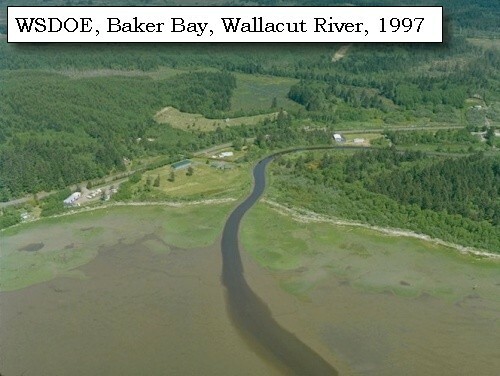 A hunter despatched early to kill some food, returned with eight ducks, on which we breakfasted, and then followed the course of the bay [Baker Bay] to the creek or outlet of the ponds [Chinook River]. 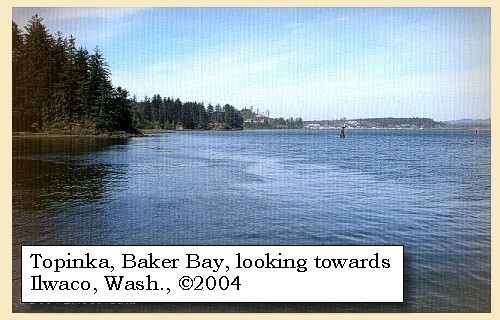 It was now high tide, the stream three hundred yards wide, and no person in the cabin to take us across. 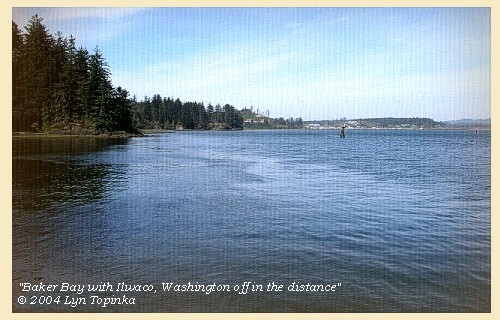 We therefore made a small raft, on which one of the men passed and brought a canoe to carry us over.